Tufted hair-grass is a tall perennial grass with stiff rough leaves forming dense tufts which can develop in to large distinctive tussocks. Its tough narrow darker green leaves with rough edges often stand out as tight tufts even in mown or grazed turf. When growing without restriction from mowing it builds over time into formidable dense tussocks up to 50 cm in height and width. In contrast to its coarse vegetative growth the flowers of this grass are elegant and attractive rising up to 2m with delicate open silver-green heads which catch the light. Tufted hair-grass is frequently found growing on wet and poorly drained soils and is most abundant in marshy fields, rough grassland and woodland. It has a competitive advantage on waterlogged soils due to its ability to transport oxygen down in to its root system. On sites where it can grow relatively unrestricted by mowing and is avoided by grazing animals, it forms large tussocks with densely packed leaf shoots and an accumulation of dead leaf litter; this allows individual plants to dominate the space they grow to occupy. The persistent tussocks of Tufted hair-grass provide year round shelter and refuge for a wide variety of invertebrates, and so moderate numbers in grassland can have a positive benefit on overall species biodiversity. Tufted hair-grass seed can be sown at any time of the year when soil conditions are suitable. Germination is strongest in spring. Initial growth and establishment is quite slow and steady. Individual leaves are long lived; plants progressively add and accumulate leaf growth over a period of years until a persistent tussock is formed. 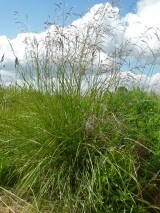 Individual Tufted hair-grass plants can also be very long lived. It is a prolific seeder and maintains a persistent seed bank in the soil. It is capable of regeneration in gaps and spreading to colonise bare ground from seed. As Tufted hair-grass has this potential to increase over time consideration of its placement in schemes and its management are both important. For meadow schemes dominance of this species would not be good, so it is only included as minor component in certain meadow mixtures to deliver scattered plants within a mosaic of other species vegetation. Here its expansion should be controlled by rigorous mowing schedules (grazing alone is not likely to restrain it). Grassland which is mown too infrequently, or is always cut very late in the season, will provide more opportunity for it to build tussocks and take over. For rough tussocky grassland, woodland and hedge margins which are managed less intensely tussocks develop as an integral part of the vegetation structure and as a refuge for wildlife. Fresh growth of Tufted hair-grass is straight forward to mow, particularly in a mixed sward. However mowing with scythe or pedestrian mower becomes progressively more challenging the older and bigger the leaves and tussocks become. It does not pay to delay the main hay cut too late into the season. When periodically mowing established tussocky grassland to control scrub large old tussocks will present a particular challenge. 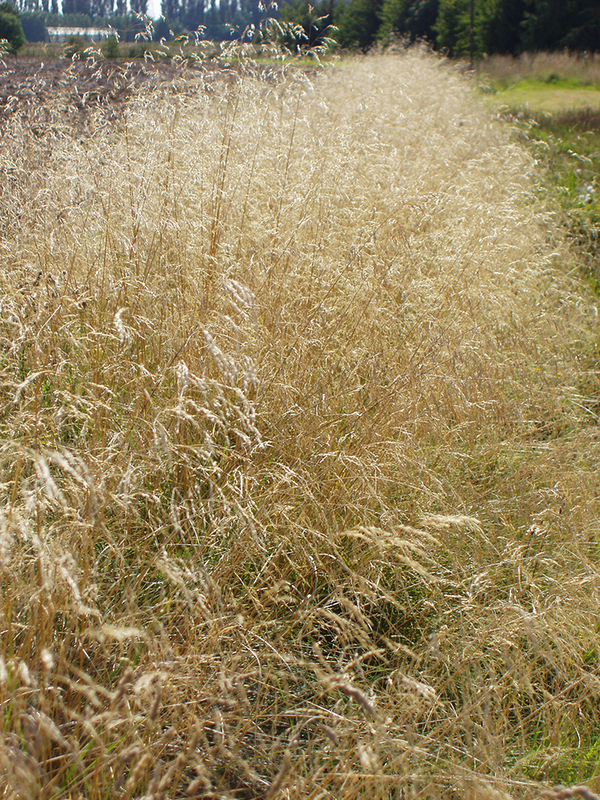 Old tussocks can deflect a scythe blade and be too tall for a pedestrian mower to pass over! In this situation either resort to bringing in a more powerful tractor mounted flail mower, or nibble away at each tussock using a tough scythe blade or brush cutter. Livestock, deer and rabbits will browse the youngest growth of Tufted hair-grass, but as it matures the foliage quickly becomes coarse and harsh and is rejected by stock. 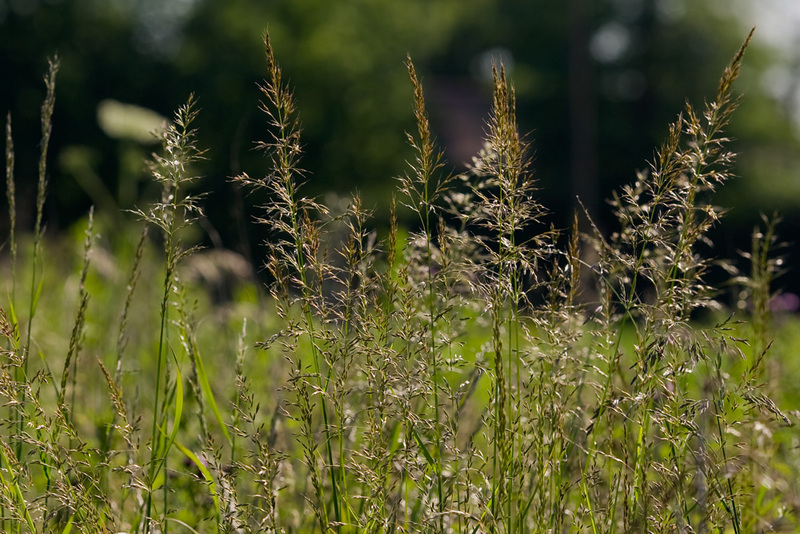 It is considered a worthless grass for grazing or making hay.